Taro vegetable or Arbi/ Colocasia as we better know it, originates from Malaysia and India, where it grows wild in wet or dry places. The taro leaves are heart shaped with white roots that are nutty in flavour. It can cause skin irritation when peeling. Taro is also known as dasheen, esculenta . It has many healing properties that are useful to get rid of many diseases. Cut boiled and peeled arbi in to big pieces. Keep aside for deep frying. Heat oil and deep fry arbi pieces till golden. Keep aside. Finely chop onions and steam, cool and grind into a paste. Take a deep heavy bottom pan, put 2 tablespoons oil and put the onion paste into it. Sauté the onion paste for a few minutes, see that it’s color doesn’t change. Add ginger, garlic paste fry for few minutes. Add salt, turmeric, chili powder and coriander powder to the masala and fry for a few minutes more. Take besan in a small bowl add three table spoons of water , mix well to make a paste add it to beaten curd mix well. Add this mixture and water to the fried masala, bring it to a boil. Simmer over low heat till thickened a bit ,about 10- 15 minutes, stirring fairly frequently. Add the fried arbi pieces, simmer for 5-8 minutes more . Garnish with the coriander leaves and serve hot. Arbi/ Colocasia/Taro is mainly consumed by athletes for long lasting energy. This is because it contains a low glycemic index which is good for athletes. Arbi/ Colocasia/Taro can prove to be very beneficial for the ones who want to lose weight, since this has very a low caloric content. One cup of cooked taro can give you 187 calories. This root contains a good amount of fiber that is useful for the digestive process. This gives you a feeling of being full for a longer time even after a small meal. Thus, eating taro roots can be useful to lose pounds and maintain your weight, since it has low calories and high fiber. Foods that contains high amount of fiber are also known to boost the digestive process. This helps to eliminate the wastes from the body and prevent re-occurrence. One cup of taro has 0.1g fat and cholesterol, which helps to prevent hardening of the arteries. You can consume it several times without worrying about gaining weight or other health problems related to fatty foods like heart or kidney diseases. Taro roots can give 19% of the daily required Vitamin E that is required to prevent the risks of a heart attack. Hypertension or high blood pressure is mostly observed in the mid aged group of individuals which can be kept in control by consuming foods that are low in fat and sodium. One cup of taro gives only 20 mg of sodium that helps to maintain kidney problems and fluid retention. Arbi/ Colocasia/Taro is one of the best sources of Vitamin C, since one cup of taro can give 11% of your daily requirement of Vitamin C. This acts as an antioxidant to remove toxins from your body and detoxifies it. Vitamin C in taro is useful in regenerative functions and boosts the immunity of the body. Arbi/ Colocasia/Taro has a low glycaemia index. This helps to break down glucose in the liver slowly and aids in weight loss and lowers blood sugar. This is also useful for hypoglycaemia as this provides long lasting energy. This is a very nutritious food that contains many Vitamins – A, C, B, minerals like copper, manganese, zinc, magnesium, calcium, iron, selenium, potassium, beta-carotene and cryptoxanthin. All these are good antioxidants that are useful to protect against diseases and slow down the aging process. This also contains protein and is gluten-free, cholesterol-free and low in sodium too. Arbi/ Colocasia/Taro is very high in Vitamin A that has more than 160% of your daily requirement of Vitamin A. The leaves and roots of taro contain polyphenols which are great antioxidants to protect even from cancer. 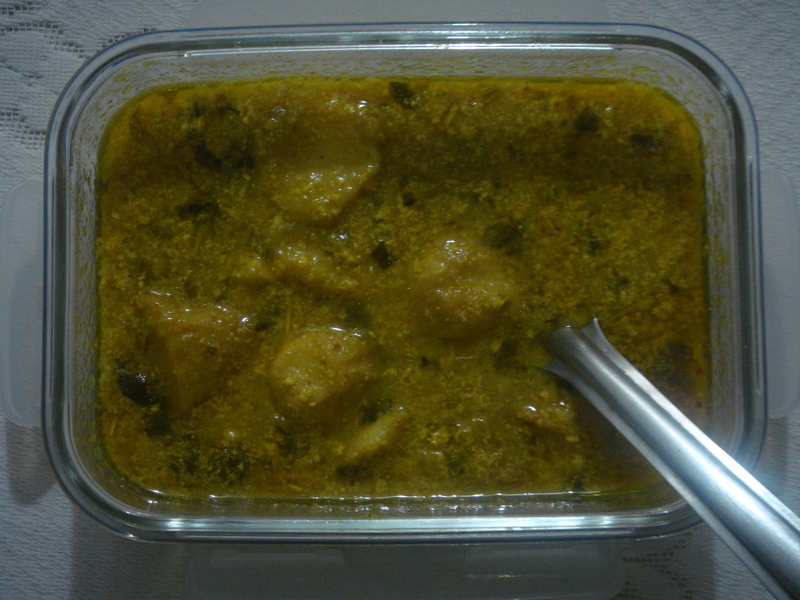 Arbi/ Colocasia/Taro contains Vitamin E and magnesium that can protect you from cancer and heart disease. This also helps to maintain your blood pressure and is helpful for fluid regulation. Taro roots contain magnesium which is vital for muscle, bone and nerve health. Taro root has more than 17 different amino acids that are essential to maintain good health. This also has Omega 3 and 6 oils which are required for maintaining cardiovascular health, cancer prevention, and other diseases. Arbi/ Colocasia/Taro and leaves both have great flavours. They can be cooked and impart a nutty flavour, whereas the leaves taste like cabbage. Taro roots are used to prepare curries, fried for chips, cakes, roasted, boiled, steamed, pureed etc.